The Dashing Through the Snow Book Tag is the first winter-related tag I am doing this year and it was created by my friend Astra over at A Stranger’s Guide to Novels. You should definitely go and check out her original post! But what is up with all you guys being so creative and making your own tags! I am so impressed! But without further ado, let’s get on with it! 1. Name a book you would like to see under your Christmas tree! Just ONE!?!?! I’m trying to think of something I probably wouldn’t buy myself and that’s Once Upon a Time – Red’s Untold Tale! Ruby is one of my favourite characters on the show and I already have the Once Upon a Time version of the Grimm fairy tales. I bet it would look nice next to it! 2. A book you’ll be reading during the Christmas Season! That’s kind of difficult because it entirely depends on what I get for Christmas. But in the unlikely event that I don’t get any books, I’d like to refer you to my December TBR. 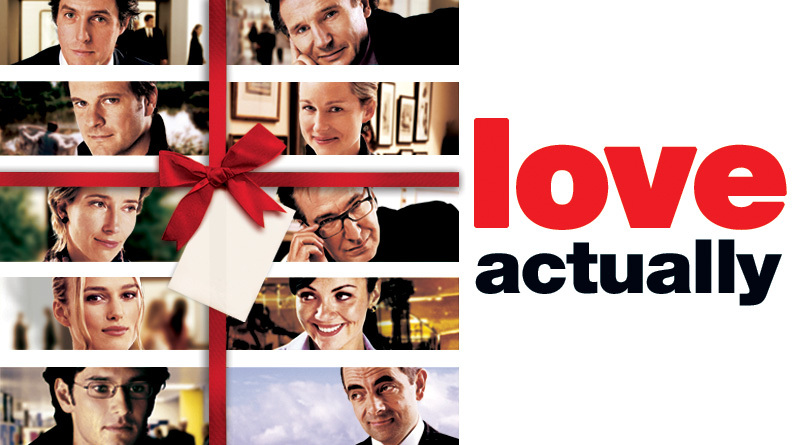 You simply cannot go wrong with Love Actually! It’s adorable each and every time! YAAAAS! But only the really fluffy, untouched and white one. Since I live in a quite busy city, it turns into grey mud way too soon. 5. Name a character you would like to spend your Christmas day with! Again, just ONE!?!?!? My brain is close to an overload because it’s so difficult to decide … technically you didn’t write the word “one” though! Well, I’d either like to spend it with all the characters from the Infernal Devices, The Mortal Instruments, Fangirl, The Martian, Bitten, Landline, The Night Circus … I LOVE ALL MY BOOKS! The best is a little bit of both, if you know what I mean? Last year my family donated a goat in my name to a family in need in a developing country. I got a postcard with a really funny and cute goat on it and the family has the animal. That’s what I call a win-win! No … at some point it sounded like Christmas pee and I had to stop because I was laughing so hard. *As per usual, feel free to ignore the tag if you don’t want to do it. There will never be peer pressure on my blog! 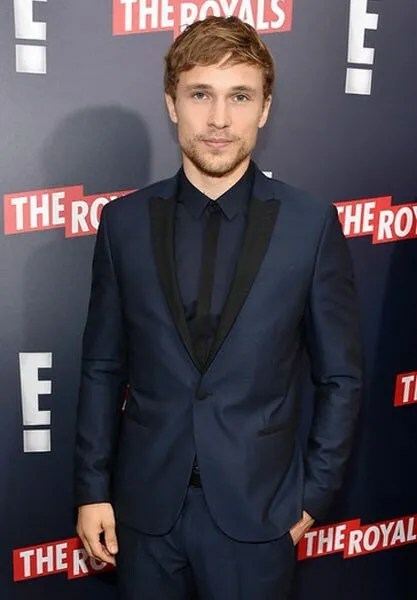 I wouldn’t mind spending my christmas with Prince Liam either, but I never saw Narnia, so… I laughed so much at your hamster answer, lol. And the goat! that’s awesome! Prince Liam is really just so hot! But how come you never saw Narnia? That stuff was like everywhere. My hamster was awesome! Glad the story could make you laugh. I really appreciated the goat thing. I’d be lying if I said I don’t like to receive presents, but that one really made me feel good because it actually did something good for others. I liked the first and second movie of Narnia, but not so much the last one. 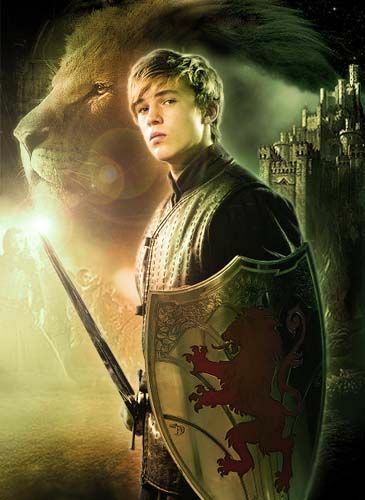 (William wasn’t even in that one hahaha) I even had a Narnia game and I have a golden Aslan bookmark somewhere. Oooh, I love that cover for Red’s Untold Tale! SO GORGEOUS And creepy *nods* I actually haven’t even watched any OUAT, shame on me. 😛 And I wish I could see snow one day!! I could tell you why it has such a dark cover, but I don’t want to spoil you if you ever do end up watching OUAT. Thanks 🙂 I think it’s really difficult not to like Love Actually. Oops — the comment posted before I finished typing for some reason O.o. But anyway, the story about your hamster was hilarious! Hahaha glad you like my hamster story. You’re a Once fan too? Jeez, we have more in common than I thought, Anything else you want to tell me? I watch so much, I think we’d still be here tomorrow if I had to list them all. You’ll have to get surprised one bit at a time. Well, what’s a friendship without surprises, right? YES! My first holiday tag of the year! Hahaha that was my reaction too when I got tagged 😀 Have fun with it! I adore that you really tried #9! Oh, when I’m in, I’m all in. I had to try! Can you do it? But the real question is if you prefer fluffy, untouched, white snow that’s influenced by 19283719731893 kmph winds?! I’m guessing the answer to that is, no? I don’t think I’ve ever been in a situation like that, so it’s really difficult to say. Thanks for the nomination! 🙂 Love Actually is the greatest movie, I always watch it at Christmas too. And Peter… *swoons* I’ll probably be stealing that answer! Glad we agree on the snow part 😀 and I hope you have fun with the tag! Hahaha that was fast! But yay!!! Can’t wait to read it! I just tried the Christmas tree thing and mine sounded like Christmas pee around the 5th time. My friend actually got me that Once Upon a Time book for my birthday, I think. Or maybe it was christmas… not sure. It definitely isn’t easy to say that a couple times in a row! So, I gather you haven’t read Red’s Untold Tale yet? I thought it was an easy read but a bit disappointing. I haven’t read it yet, but I am planning on reading it for something called Fall Bookish Bingo. Cool! I hope you’ll enjoy it!